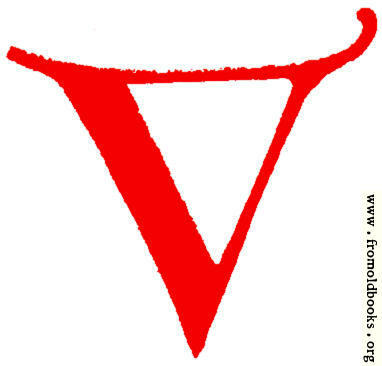 Calligraphic letter V from XIV. Century No. 1.